Prestige Behavioral Health is Now Open and Ready to Serve the Community's Mental Health Care Challenges. WASHINGTON - June 8, 2018 - PRLog -- Among healthcare professionals, local officials, staff, employees, and friends, Prestige Behavioral Health proudly opened its doors on Thursday, June 7. The new mental health facility intends to help those who are suffering by providing them with medical assistance, more options, and an overall better quality of life. The intent of the facility is to increase awareness of mental illness, provide stability to those who are suffering, and help create healthier lifestyles in the community. John S. Smith, Jr. Operating Officer of Prestige Behavioral Health, a division of Prestige Healthcare said, "There are thousands of other people whose mental health needs go either misdiagnosed or unreported. "Mental illness is an epidemic and chronic condition that urgently needs our attention. We are opening this facility to help erase some of the stigma related to mental health." Janelle Morris, Vice President of Business Development for the DC Chamber of Commerce welcomed the new mental health facility to the community. "We celebrate wonderful opportunities like this to add much-needed healthcare to an underserved community," Morris said. "The mental health community in the Washington, DC area is in desperate need of facilities just like these." Calvin Smith, Director or Government and Community Relations, Bridge Point Healthcare, a board member of the DC Chamber, and chairperson for the Ward 8 Health Council. 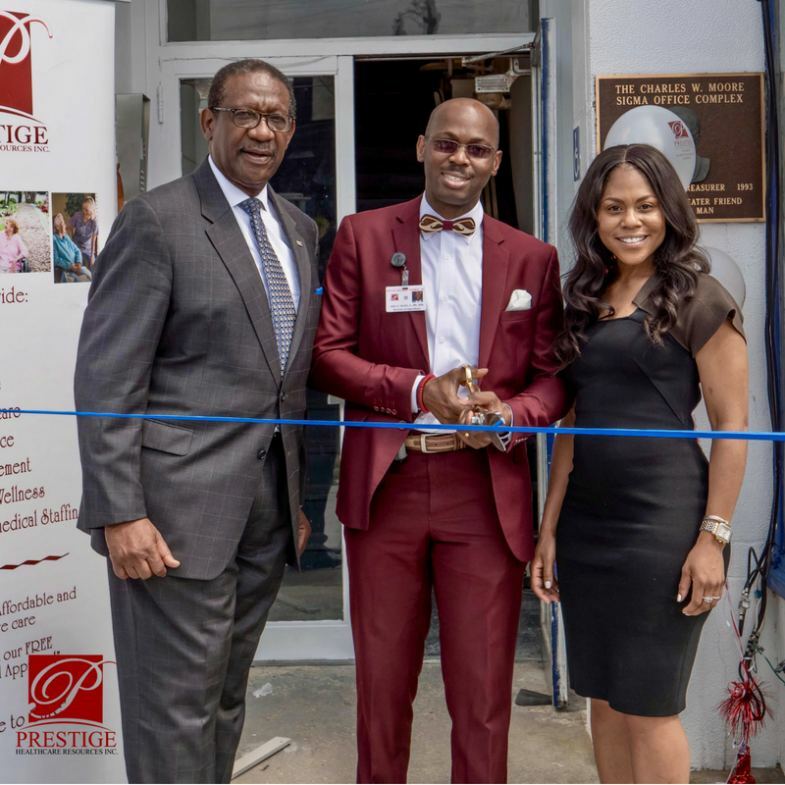 "We're proud to have Prestige Health Services as part of the Ward 8 Community and looking to bring better health care outcomes to the residents of Ward 8." Attendees at the grand opening also got the opportunity to tour the facility and learn more about this serious condition that affected over 25,000 Washington, DC residents last year alone. Prestige Behavioral Health is located at 143 Kennedy St. NW #1, Washington, DC 20011. To learn more, visit the website: http://prestigebehavioralhealth.com.